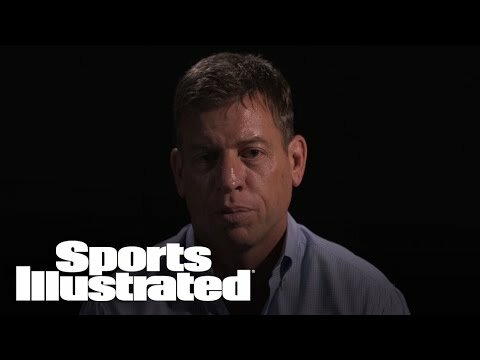 One of the most popular players in NFL history, Troy Aikman has been extraordinarily successful throughout his entire life. A collegiate All-American, NFL All-Pro, Super Bowl MVP, NFL Man of the Year and Future Hall of Famer, Troy’s achievements are legendary. As a speaker, Troy brings that same passion to his audiences as he shares the principles and lessons that have propelled him to personal and professional excellence. Now one of the most respected broadcasters on FOX, Troy continues to provide key insights and thoughtful analysis for fans around the world. 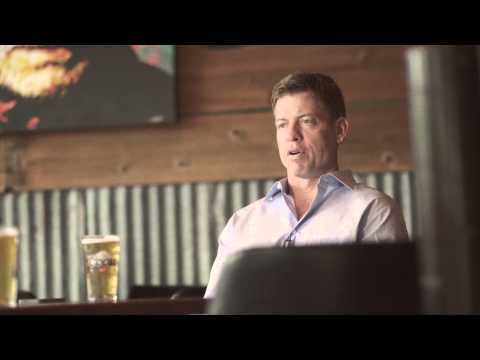 In 1992 Aikman established the Troy Aikman Foundation. In 1995 his foundation made a donation to Children Medical Center in Dallas for the funding of Aikman End Zone, an interactive playroom and education center for children staying at the hospital. In the spring of 1997, Aikman End Zone was opened at Cook Children Medical Center in Fort Worth, and in 1998 he opened one in Oklahoma City. In addition, Troy set up scholarships at Henryetta High School and at UCLA. Aikman is the recipient of many humanitarian awards. Troy Aikman has distinguished himself as one of America best quarterbacks. Selected the number one overall NFL draft pick in 1989, he is one of only three players to lead a team to three Super Bowl victories. He has rewritten every passing record in the legendary Cowboy history. Troy Aikman was born on November 21, 1966 in West Covina, California. At the age of 12 his family moved to Oklahoma where he earned all state honors in football and baseball at Henryetta High School. He finished his college career at UCLA as the third rated passer in NCAA history and led the bruins to wins in both the Aloha and Cotton Bowls. Aikman has guided the Dallas Cowboys from the National Football League cellars 0f 1-15 in 1989 to four consecutive NFC Championship Games and three Super Bowl titles. He was named MVP of Super Bowl XXVII. The bigger the game, the better he played. His six straight Pro Bowl selections (1991-1996) indicate the respect of his peers, as well as securing him a place in the Professional Football Hall of Fame. In 1992 Aikman established the Troy Aikman Foundation. In 1995 his foundation made a donation to Children Medical Center in Dallas for the funding of Aikman End Zone, an interactive playroom and education center for children staying at the hospital. In the spring of 1997, Aikman End Zone was opened at Cook Children Medical Center in Fort Worth, and in 1998 he opened one in Oklahoma City. In addition to his foundation activities, Troy set up scholarships at Henryetta High School and at UCLA. Aikman is the recipient of many humanitarian awards. From 1991-96 he was one of the five finalists for NFL Man of the Year, and in 1997 he was honored with the True Value Man of the Year Award, the leagues highest award for community involvement. Following his 12-year career as quarterback of the Dallas Cowboys, Troy Aikman is now one of the lead analysts for the NFL on FOX.